Arbeitshypothesen sind revidierbar, deklarierten Wahrheiten nicht, sie verkalken zum System; Arbeitshypothesen passen sich den Menschen an, den deklarierten Wahrheiten wird der Mensch angepajJt; die ersten kann mann verwerfen, von den anderen wird man verworfen. FRIEDRICH DORRBNMATI, Nachgedanken Working hypotheses can be revised,' declared truths cannot-they calcify into dogma. Working hypotheses adapt to people-people adapt to declared truths. One can reject the first but be rejected by the latter. The concept of electron crystallography, i.e., the quantitative use of electron diffraction intensities to solve crystal structures, is by no means new. 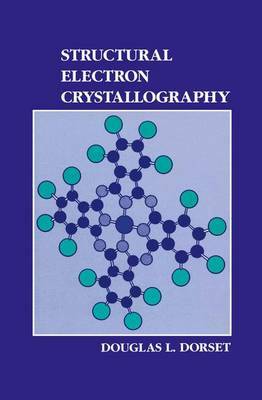 Based on extensive pioneering efforts on organic and inorganic substances, two major works on electron diffraction structure analysis (or "electronography" as it was then known in Moscow) appeared in English translation during the 19608. These books are B. K. Vainshtein, Strukturnaya Elektronografiya (Structure Analysis by Electron Diffrac- tion, translated by E. Feigl andJ. A. Spink, Pergamon Press, Oxford, 1964), and B. B.